Not one of my favorite things. Not at all. I have to move on from Dorie Greenspan's Around My French Table fairly soon, but it seemed unsporting not to see if the book contained a few low-calorie recipes. It does. More than a few. I've now tried two. 1. Night before last I made Greenspan's creamy cauliflower soup sans cream. I was not looking forward to this. I was not looking forward to this all day long. But the soup was superb -- rich and flavorful and hearty. My sister and Isabel, who are not on diets, will back me up on that. The boys did not try any; they ate leftover Outback Steakhouse chicken wings. Foolish boys. It's an easy soup -- one pot, not much peeling and chopping. 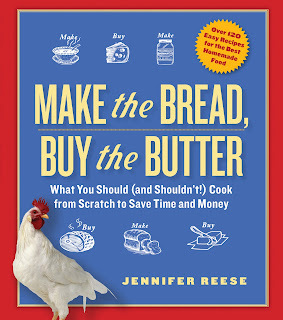 The recipe as printed here is slightly different from what appears in Greenspan's book -- she calls for 6 cups of broth, and this recipe calls for five. I'd go with six. I used 2 cups of broth because that's all I had, plus 4 cups of water. To compensate for the missing broth, I added 5 garlic cloves instead of two, and I did not stint on the freshly ground white pepper, which is crucial. (I bought white peppercorns for the first time a few months ago and I don't know why I waited all these years.) Greenspan suggests pushing the soup through a sieve, but I say no: More work, a sieve to wash, and the soup is great as is, slightly rough. I didn't add any of the fattening toppings. Doesn't need any. Please make this soup! You will be so happy. And slender. 2. Last night I made Greenspan's chicken breasts in foil packets with curry and peas. Again. Not looking forward to this. Not looking forward to this all day long. But all the same adjectives apply: Superb. Rich and flavorful. Easy. You just cut up some chicken breasts, mix with curry powder, sliced bell pepper, onions, frozen peas, and the tiniest bit of olive oil (4 teaspoons, total). Season with salt and pepper. Wrap in foil packets and bake for 20 minutes. You will be astounded at how moist and delicious are the contents of those dumpy foil packets. I might in future add a little more curry powder and some cayenne, and I would probably try to come up with a precise amount of salt, as it's hard to season raw chicken to taste. But these are details. My husband, who is not on a diet, said, "You should make this once a week, every week." Recipe is reprinted here along with a very pretty picture of the dish using orange peppers. I love non-diet food that actually is. Thank you for doing that work for me. I tried a different cauliflower soup this week and was sadly disappointed (it had lemon, and was too sour) but I am inspired to try again. Yum. I have never bought white pepper - always figured it couldn't be that important. You have convinced me now that I must run out and get some. Did your cauliflower soup get creamy? I make a "creamy" cauliflower soup, but to make it creamy, I add leftover cooked rice and I use an immersion blender to make it seem creamy. I also usually use leftover roasted vegetables so they have that much more flavor. I've started using fat free evaporated milk to soups instead of cream. Works wonders! Hi, Thanks for featuring the dish I made. We LOVED it. I also make a very similar cauliflower soup that is also on my blog. Thanks again. Fantastic. I love this new turn of the blog. I could use more animal updates though. How are those fluffy silkie chickens working out? Are their eggs still miniscule? Are any of your goats preggers? Inquiring minds want to know. I made the foil wrapped chicken after reading your post. I have a hang up with frozen peas, so bought some fresh. Of course, I tired of shelling peas and ended up with too few, so I supplemented them with a few asparagus tips. I also took your advice and added cayenne. Anyway, you and (of course) Mark were dead on: it was delicious and moist, which is not always easy with chicken breast. Dorrie's mushroom soup is also excellent and low in fat. If you have the time you should give that a try before you move on to another book. You inspired me to buy Dorie Greenspan's book and it just arrived in the mail... I can't wait to start trying those recipes! I just made the chicken dish for dinner and loved it SO much that my parents are currently cooking it. I've been looking to make dishes at the beginning of the week that will last me, and the individual packaging here makes it especially easy. 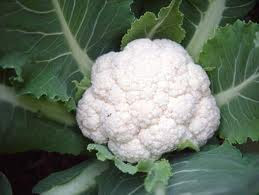 As a person also suffering from an aversion to cauliflower, I wanted to try this. I started out with good intentions, but as soon as I smelled the cauliflower boiling, I panicked and threw in a couple sweet potatoes and some ginger. The result was not at all the same soup, I'm sure, but delicious nonetheless! I am also dieting (forever?) and tried the Dorie recipe for the foil-wrapped chicken. I love it. But I add more onion, some garlic and about twice the curry powder. Plus more peas. Maybe not as diety as a result. But delicious.